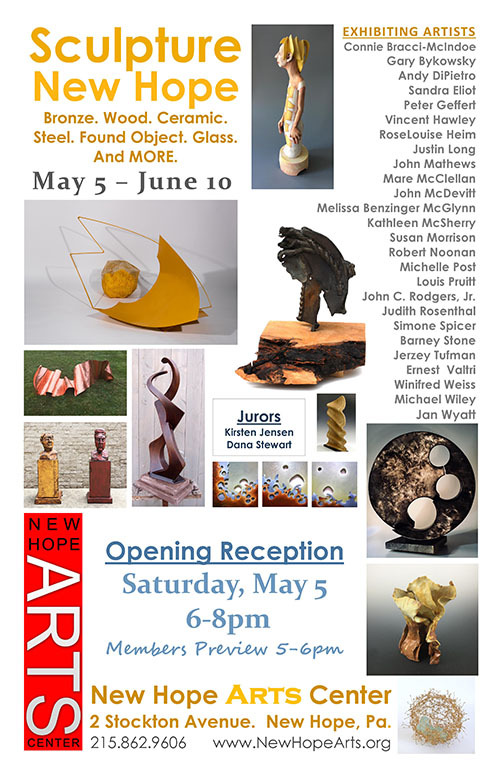 Sculpture at New Hope Arts is open to artists in any 3 dimensional medium. This show is a favorite with gallery goers and artists alike. Now in it's 17th year, New Hope Arts hallmarks contemporary work being created today in our region and beyond.